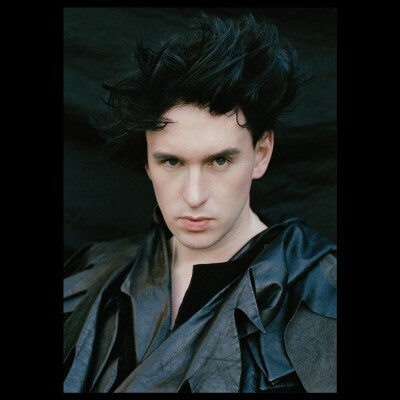 Enigmatic and ever inventive, Patrick Wolf paints a fascinating world through his unique take on folk which draws on baroque pop and electronica. Having been producing music for fifteen years, he is highly regarded by critics and his legions of loyal fans. Patrick Wolf invites you to a very special evening taking place at Bush Hall in London on Monday 18th of December 2017. With excitement rising sky high, everybody is looking to get their hands on their Patrick Wolf tickets. Gigantic make it easy for you as you can place your gig ticket order 24/7 using your smartphone, computer or tablet either whilst at home or whenever you are on the go. With demand so high, we really recommend that you set a personal reminder with Gigantic so we can alert you with a text message or an email when they become available at 10:00 on Friday 29th of October. His amazing back catalogue includes the records Lycanthropy, Wind In The Wires, The Magic Position, The Bachelor and Lupercalia. His latest release is double album Sundark and Riverlight which saw Wolf return to his previous work and re-interprate it. The record features new versions and acoustic takes on familiar songs. "I thought It was time after a decade to take a moment to document what these songs have grown up to be while I’ve been travelling them around the world.There was a conscious rebellion on this album against the digital age of auto-tune and mass produced electronic landfill music. I want to present at my 10-year anniversary a musical biography." As ever, there are only limited supplies of Patrick Wolf concert tickets being put on sale so you will have to act fast and book yours before they are all snapped up. Offering excellent customer service to help whilst choosing from a vast range of essential gig tickets, Gigantic is always the very best place to come whenever you are booking your big night out.